When Byrd Whalen returns to her family’s ancestral home to uncover secrets threatening to destroy a legacy she holds dear, she gets more than she bargained for. Over the course of one harrowing weekend, the dark haunted histories of the Amore women reveal themselves, leading Byrd to question everything she's ever believed about herself. 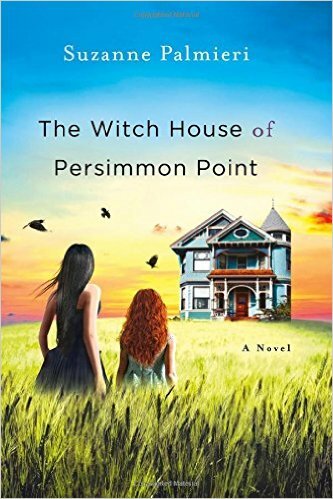 An unforgettable family saga in the Gothic tradition, Suzanne Palmieri’s The Witch House of Persimmon Point is her most powerful novel yet. What's not to love about a gothic style family saga with plenty of secrets, a haunted ancestral home, and a young woman on her own in life? It's a unique book, but not for the feint of heart. The cover looks as if this might be a book for youths and teens, but don't be fooled. The story is revealed through multiple points of view - the narratives of Byrd (our main protagonist) and other characters, some alive and some dead. With so many characters, readers need to keep their wits about them to keep track of them all. Perhaps I struggled a little because I have not read the prior books in the series, so I do recommend you read the other books in the series in the order in which they are written. Collectively, the many characters reveal Byrd's dark family history. There is plenty of dysfunction, ghosts, suspicious deaths, and plenty of secrets.